for anyone curious about what LEGO has done for about 117 years.here is the time line. taken from wikipedia. 1990 Lego Model Team sets are released.Lego is one of the top 10 toy companies of 1990.Forestman is discontinued.The Blacktron I and Futuron themes are discontinued.Space Police I is discontinued.M:Tron, a sub-line of Lego Space is introduced.Lego Malaysia is established.The Duplo Zoo is launched.9V Technic motors are first introduced in Europe, starting phase-out of 4.5V system. 1991 9V Technic motors are introduced in other markets including North America.9V Trains motors are made 9V to bring the system into line with the rest of the Lego range. Lego Paradisa is launched. Blacktron II, a sub-line of Lego Space is introduced.Imperial Guards, a sub-line of Lego Pirates is introduced.The company grows to 7,550 employees. 1992 Lego sets two Guinness World Records.Paradisa and Duplo Toolo sets are introduced.On Swedish television, the world's largest Lego Castle is built.The Crusaders theme is discontinued.Wolfpack, a sub-line of Lego Castle is introduced.Space Police II, a sub-line of Lego Space is introduced.Lego Japan is established.Lego Hungary is established.The first Lego Imagination Center is opened in Mall of America in Bloomington, Minneapolis, United States. 1993 Duplo introduces a train and a parrot-shaped "brickvac" that could scoop Lego pieces up off the floor.Space Police I is re-released.Wolfpack, a sub-line of Lego Castle is discontinued.Dragon Masters is introduced.M:Tron, a sub-line of Lego Space is discontinued.Blacktron II, a sub-line of Lego Space is discontinued.Space Police II, a sub-line of Lego Space is discontinued.Ice Planet 2002, a sub-line of Lego Space is introduced.Lego South Africa re-established.The orange transparent brick is introduced. 1994 The Black Knights theme is discontinued.Ice Planet 2002, a sub-line of Lego Space is discontinued.Unitron, a sub-line of Lego Space is introduced.Spyrius, a sub-line of Lego Space is introduced.Islanders, a sub-line of Lego Pirates is introduced.Lego Mexico is established.The company grows to 8,880 employees worldwide.First pink Lego bricks.Brick Kicks, the official Lego Club Magazine, is renamed Lego Mania Magazine. 1995 Lego Primo series is introduced.Lego Aquazone is introduced.Royal Knights, a sub-line of Lego Castle is introduced.Unitron is discontinued.Imperial Guards, a sub-line of Lego Pirates is discontinued.Aquanauts, a sub-line of Lego Aquazone is introduced.Aquasharks, a sub-line of Lego Aquazone is introduced.Lego TechBuild, a sub-line of Lego Technic is introduced.Lego TechPlay, another sub-line of Lego Technic is introduced.Godtfred Kirk Christiansen, son of the company's founder, dies.Lego Belgium and Lego Netherlands become Lego Benelux.Lego dolphin element is introduced. 1996 LegoLAND Windsor is opened in the United Kingdom.The Lego Watch System is launched. 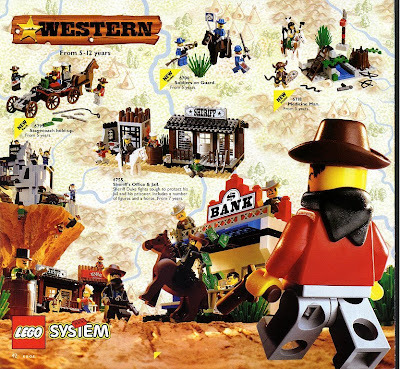 Lego Wild West, is introduced. Lego.com is launched.Dark Forest, a sub-line of Lego Castle is introduced.Time Crusiers Is IntrodudcedSpyrius theme is discontinued.Exploriens, a sub-line of Lego Space are introduced.Imperial Armada, a sub-line of Lego Pirates is introduced.LegoLAND Billund reaches 25 million visitors since its opening in 1968.It is estimated that 180 billion Lego elements have been made and over 300 million people worldwide play with them. 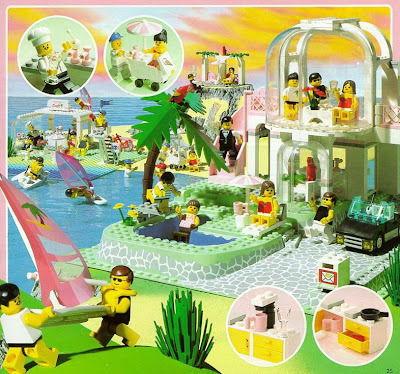 1997 Lego launches its first computer game, Lego Island.Lego introduces fiber-optic elements.Lego Paradisa is discontinued.Lego Divers is introduced.Fright Knights, a sub-line of Lego Castle is introduced.Time Twisters A Subline Of Time Crusiers Is IntroducedRoboforce, a sub-line of Lego Space are introduced.UFO, a sub-line of Lego Space is introduced.Aquaraiders, a sub-line of Lego Aquazone is introduced. 1998 Lego launches the Lego Creator, Loco, and Chess computer games.Lego introduces beige bricks.Lego Adventurers and Insectoids series are introduced.Lego releases Mindstorms, a programmable computerized brick with Lego-compatible sensors and motors.The red Lego logo introduced in 1973 is updated. It is a graphically tightened version of the logo used for the past 25 years.Lego rereleases the Crusaders, Black Knights, and Dragon Masters themes.Insectoids, a sub-line of Lego Space is introduced.Lego Cyberslam, is introduced. 1999 Legoland California opens in Carlsbad, California. 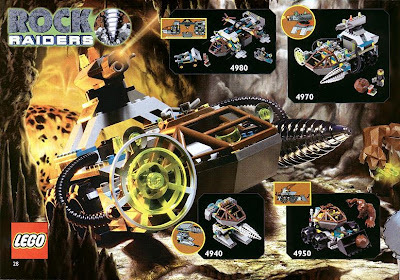 Lego Rock Raiders series is introduced. 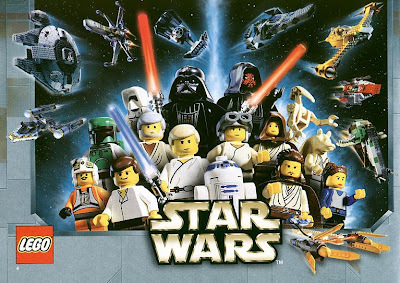 Lego produces a Star Wars theme with Lucasfilm, beginning a trend of licensed Lego products. UFO and Insectoids themes are discontinued.Jungle a sub-line of Lego Adventurers is introduced.Lego Underground is introduced.Lego Slizers (Throwbots) is introduced.